Are you interested in a career in law enforcement? Police officers play an important role in maintaining law and order in communities all across the United States. They are often regarded as the front line of defense against crime and have a wide range of tasks and responsibilities. These include protecting the public, apprehending criminals, preventing crime, responding to traffic accidents, etc. Policemen themselves have to be upstanding citizens and must undergo intensive training to ensure that they can meet the demands of the job.Law enforcement can be a rewarding profession. Read on to find out more. First response in case of emergencies, traffic accidents, etc. It takes approximately 6 months or 960 hours to complete police academy training. The Memphis Police Department Training Academy typically takes 22 weeks, or 880 hours, to complete. All in all, it may take as long as 2-years to become a police officer, including both pre-employment and training processes. If you’re thinking about the field of law enforcement there are a couple things you may want to consider. The work life of a police officer can be particularly grueling with long hours and so the job requires a great deal of physical and mental strength. 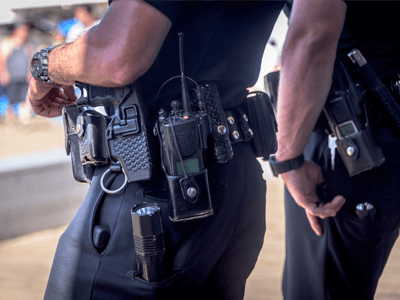 This particular line of work may also place officers in difficult, unpleasant, or dangerous situations in which their safety or their lives may be at risk. Like any job, being a police officer has its perks and its drawbacks. Pursuing a career in law enforcement is a reasonable commitment and requires a high level of dedication. Those who genuinely want to serve and protect must know that it is important to consider all aspects of the job before deciding to pursue a career as a police officer. You will be expected to go through extensive and ongoing training and will be facing dangerous situations in this line of work. Salary which is above the median income. Benefits medical and dental coverage, paid leave, holiday bonuses, pension plans, allowances, insurance, etc. Field of law enforcement is generally stable which leads to higher job security. Dangerous and difficult working conditions. Extensive travel and relocation requirements (at State or Federal level). It is generally accepted that the minimum entry requirements for admission into a police academy is a high school diploma. In some cases a G.E.D may be accepted as a substitute. It is important for candidates to be able to demonstrate that they have the ability to comprehend, apply, and utilize knowledge learned. Although not a stringent requirement, an undergraduate or associate’s degree could be a bonus. Courses may be taken in areas such as criminology, law enforcement, or a related discipline. Entry into the police force is highly competitive. One of the key advantages of pursuing a higher education is that it has the potential of giving you an edge with prospective employers. Furthermore, an associate’s degree in, for example, criminal justice, serves to introduce individuals to a host of knowledge and practical skills that may be very useful in the line of duty as a police officer. These include an introduction to basic criminal law practices, investigation techniques, how to document crimes properly, crisis management, etc. Such a degree will also be useful if you intend to become a detective, seek out an administrative position, or wish to work at the federal level. Even if you decide not to pursue higher education, it is highly recommended that you gain some real world experience prior to applying for a job at the police academy. As entry into the profession is highly competitive, job experience can give candidates an edge when being considered. Jobs that require interaction with the public will increase your communication, people, teamwork and problem-solving skills. In addition, experience in the military is highly valued. The mental and physical challenges that life in the military present are important in preparing individuals for the demands of a job as an officer. Aside from educational work experience requirements, there are a few other important qualifications that need to be satisfied prior to applying for a job as a police officer. *Some agencies may require that candidates to be able to speak a second language (i.e. Spanish). Prior to being accepted into a police academy and the commencement of training, candidates are required to pass a series of examinations. These are known as postsecondary placement tests and they are intended to help institutions gauge whether candidates have the required basic skill-set (reading, comprehension, problem-solving, etc.) to get into the police academy. The two most common types of tests which may be taken by candidates are ASSET or COMPASS. Physical fitness is a very important requirement in the course of active duty. In addition to the strenuous tasks that are carried out during the job, candidates are encouraged to engage in physical activity as it is helpful in reducing stress levels. The physical assessment may involve sprints, pull-ups, and obstacle course training. According to their age and gender, candidates are required to be able to perform up to a particular level. This assessment is designed to determine whether candidates can cope with the rigors of the training which take place at the police academy. It is important to determine whether individuals will be able to cope with stress which is considered part and parcel of the job. Psychological tests help determine whether the candidate has impulse control, general intelligence (common sense), honesty, dependability and the ability to tolerate stress. This test is conducted to determine how honest potential candidates are. They are also helpful in determining whether candidates have any other character traits which may be considered undesirable, such as withholding certain types of information. Candidates must be healthy enough to carry out common tasks required of police officers. A medical assessment is carried out to determine whether your vital organs, such as your heart and lungs, are up to handling the strenuous demands of the job. You must also have corrected 20/20 vision. All police agencies carry out background checks on prospective candidates in order to ensure that they are model citizens and display high moral and ethical characters. This is so because police officers, as public servants, are held up to a very high standard and so it is important for candidates to be capable of being held to those standards. It’s also a way for agencies to determine whether candidates are suitable for the job. If you are selected, the next step is training at the police academy. At this stage, individuals can expect a rigorous regime of training (both physical and academic) which lasts around 3 to 4 months. Each state has its own requirements for police academies and as such, police academies may offer different courses and training periods may differ slightly. Defensive tactics including how to apprehend criminals – learning how to use handcuffs, pepper spray, batons, Tasers, etc. Emergency Vehicle Operations Course (EVOC)– this teaches officers how to drive effectively and safely. Ethics – this is an important course in the training program and is provided in order to minimize the risk of officers incurring lawsuits which allege anything from racial profiling to excessive use of force. These courses are also intended to provide training in order to help officers make better decisions under pressure. Upon graduation, newly appointed police officers must log a certain amount of hours of experience in the field with a senior police officer. For the first few months, rookie officers are required to observe a day in the life of trained officers. This allows them to get an idea for what the job requires. They also get the chance to apply what they’ve learned at the academy. The senior officer that they’re paired with gives them tasks and responsibilities to carry out and evaluates how well they handle the work. Once you’ve passed all the required exams and training, you may choose an area of specialization in which you’d like to work. Duties and responsibilities will vary according to your chosen specialization and you may be required to undergo some additional training relevant to your specialization. Police officers may be employed at the local, state, or federal level. Their duties and responsibilities will vary according to their level of employment and their employer. In addition, salaries, benefits, travel requirements, job responsibilities and career advancement opportunities may differ at each level. Relocation is quite common at both State and Federal level, and jobs may require individuals to do a fair amount of travelling. Local law enforcement agencies oversee the protection of a particular locale or county. At this level, police officers are expected to protect the citizens and uphold the law in that particular jurisdiction. The State employs officers at this level to carry out law enforcement duties statewide. Officers may be hired as highway patrol officers whose main responsibility is to enforce regulations on major highways in the state. State police officers have wider investigative powers given to them by their agency, commonly the State Bureau of Investigation. These officers may also be called upon to conduct investigations and law enforcement services in smaller towns in the state. The scope of jobs at this level is typically wider than at the State or local level as they have jurisdiction over the entire country. Additionally, the jobs may either have investigative or safety and security responsibilities. Federal officials can also expect to have a higher salary. There are over 65 agencies at the federal level that employ full time personnel authorized to carry out law enforcement duties. After the successful completion of a probation period, it is possible to become eligible for promotion. There are a number of ranks of officers that candidates can aspire to be promoted. In order to be eligible for a promotion, candidates are usually required to take exams and log a certain amount of hours on duty. Additionally, the candidate’s job performance is monitored and evaluated. Requirements may differ for the position the candidate is applying for. At federal level, having a graduate degree and or prior military experience could increase the chances of promotion. According to data provided by the U.S. Bureau of Labor Statistics (BLS), police officers and detectives earned a median average salary of $56,980 per year in 2012. For those who advance in their careers, data shows that the top 10 percent earned more than $93,450. Employment in this field is expected to grow at a rate of 5% between 2012 and 2022. This is a slower than the average rate when compared to other professions. Due to the importance of public safety however, there will always be demand for police officers. It is essential to keep in mind that fewer jobs mean tougher competition. For this reason, it is highly recommended that you pursue a college degree or undertake military experience which may increase your job prospects and give you an edge over competitors. To conclude, becoming a police officer involves a number of years of mental and physical training. It’s a profession that can be demanding and should be pursued by those dedicated to protect and serve. A career in law enforcement can also be very rewarding and comes with a number of benefits. Those interested in following this should consider all the options carefully and accordingly chart their course to becoming a police officer. Q: What are some of the tasks that police officers are required to do? Ans: Police officers are required to uphold and enforce the law, and protect citizens and their property. In the course of their duties, they are required to carry out a large number of tasks. Some of those tasks include conducting traffic, investigating crimes and accidents, gathering evidence, taking statements from witnesses, acting as a first response in the event of an emergency, and serving warrants. Q: How do I know if becoming a police officer is really for me? Ans: Before applying to become a police officer, there are a few things that you should carefully consider. Law enforcement is a tough profession. The hours are long and irregular, and the work requires a huge amount of physical and mental strength. Sometimes you’ll find yourself in dangerous, unpleasant, or difficult situations in which the lives and safety of other people will be at risk. If these conditions are too stressful for you, law enforcement may not be the career for you. If, however, you feel like you can handle the rigors of police work, than becoming a police officer may be for you.